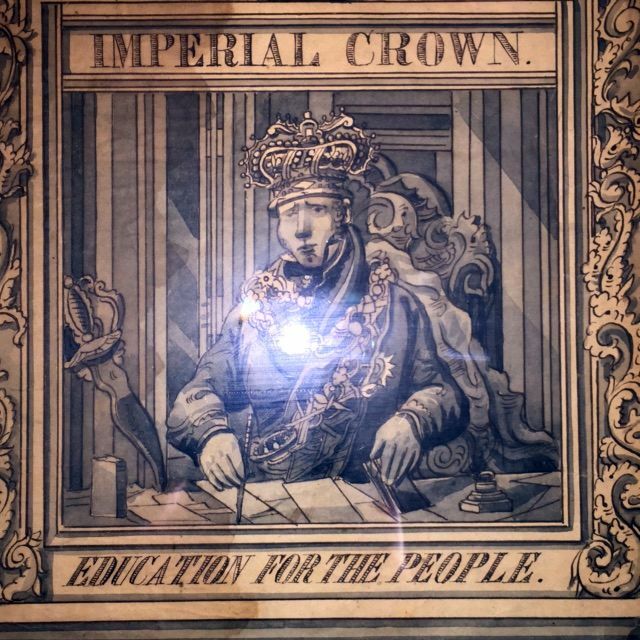 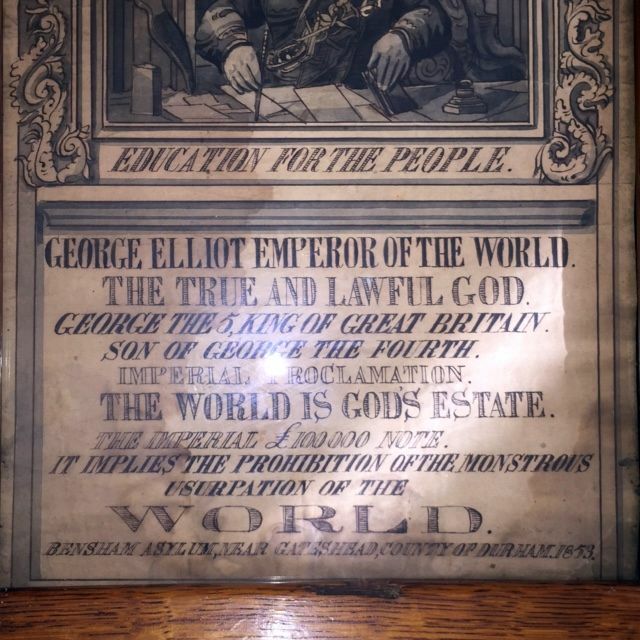 The Satirical Broadside is a Proclamation saying it was issued from Bensham Asylum on behalf of George Elliot Emperor of the World. 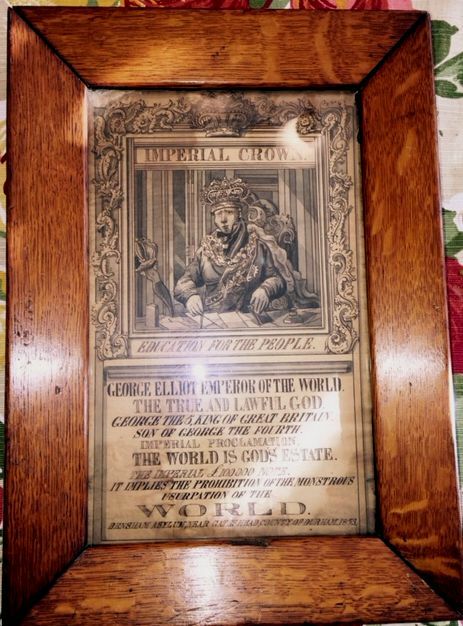 The wording of this Broadside is shown below"
Very fine condition, but a camara flash shows up on some of the pictures, but is not on the actual item. 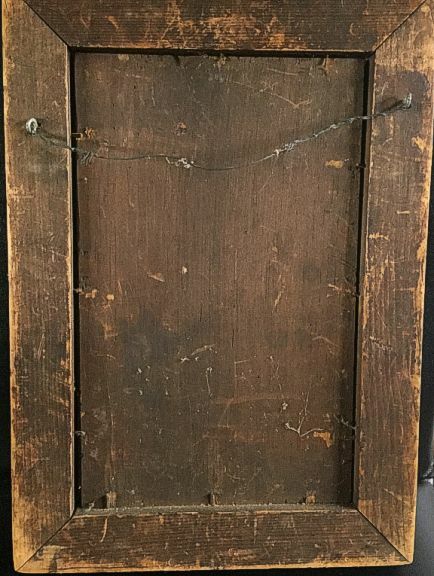 This piece is over 163 years old and is in a nice frame from the 1800's. 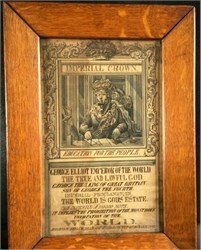 Some toning, but overall very fine condition.